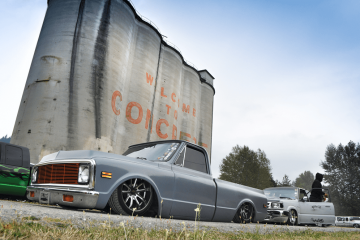 Dennis Higdon’s ’86 Chevy C-10 has seen a lot of miles, but it has also seen a lot of milestones. His kids have grown up around the truck, they’ve heard many songs for the first time in the truck, and they’ve shared many irreplaceable memories. Dennis has owned the truck since it was new, logging almost a half-million miles on the odometer before putting it into semi-retirement after 13 years of driving it. Admittedly, it did sit for a while, but Dennis wasn’t about to abandon it. He had big plans for his Chevy, and had been squirreling away some money to build the truck into the one he envisioned. Eric Saliba’s shop name is deceptive. His team has turned out some of the highest profile builds we have ever had the pleasure to photograph. 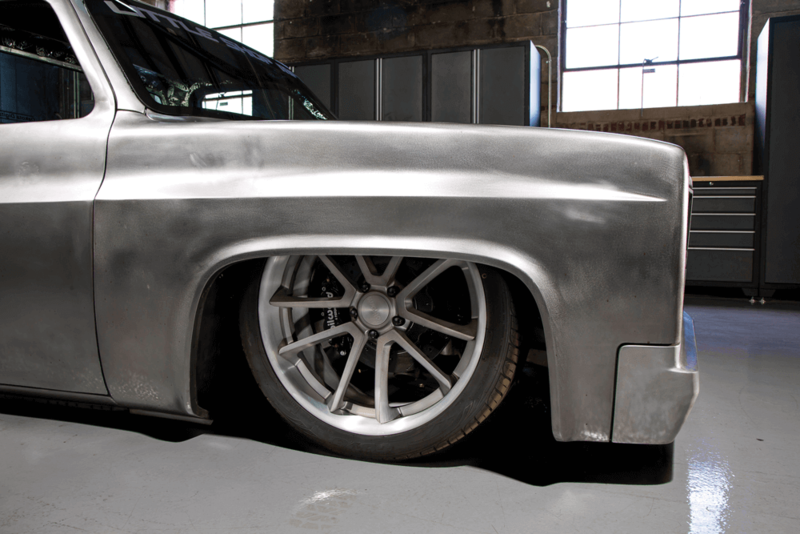 The shop’s ingenuity and attention to detail are second to none, and every project that rolls out of its doors is as clean as if it had just rolled off the assembly line. 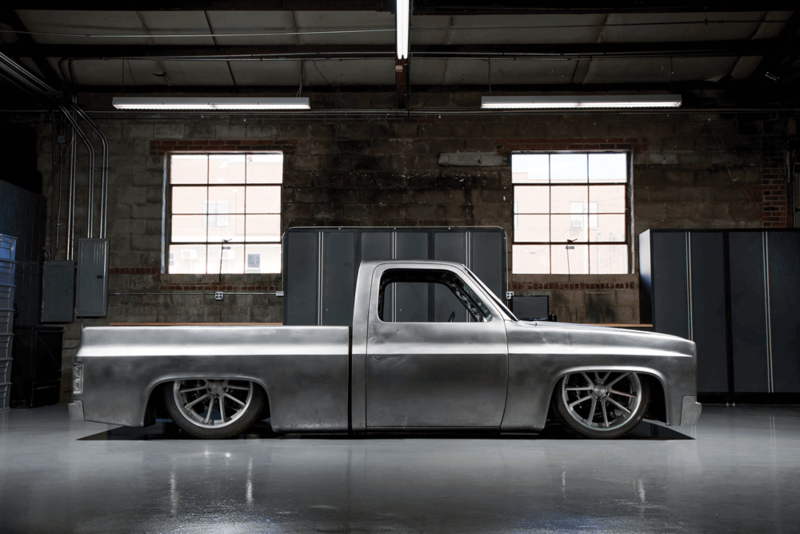 You can bet that when Dennis’ truck leaves Little Shop for the final time, it will become the new standard for square-bodies. 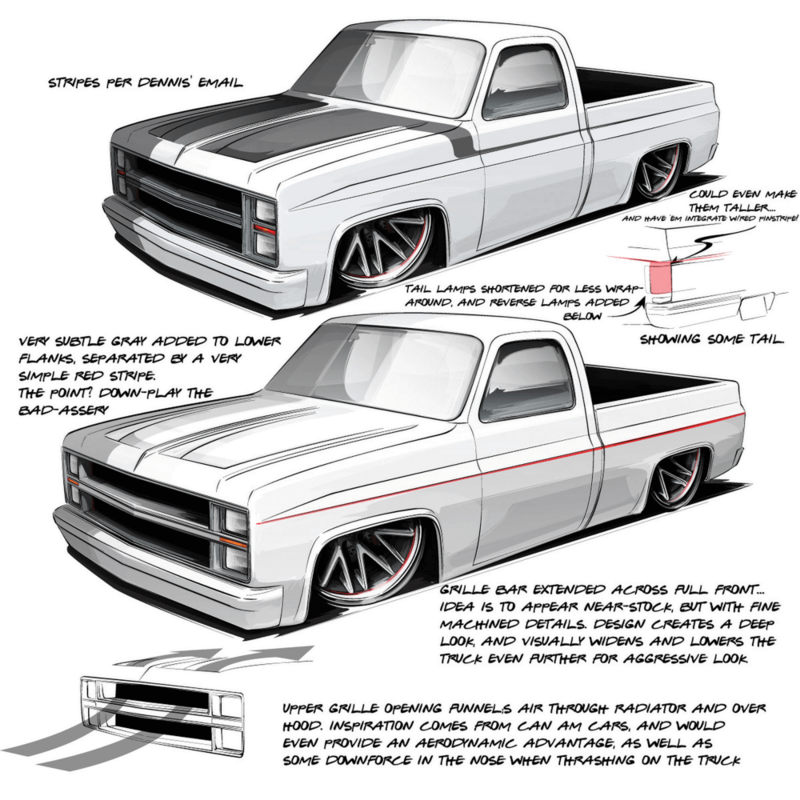 JUST SOME OF THE STYLING CUES THAT ERIC AND BRIAN STUPSKI CAME UP WITH WHEN DESIGNING DENNIS’ ’86. 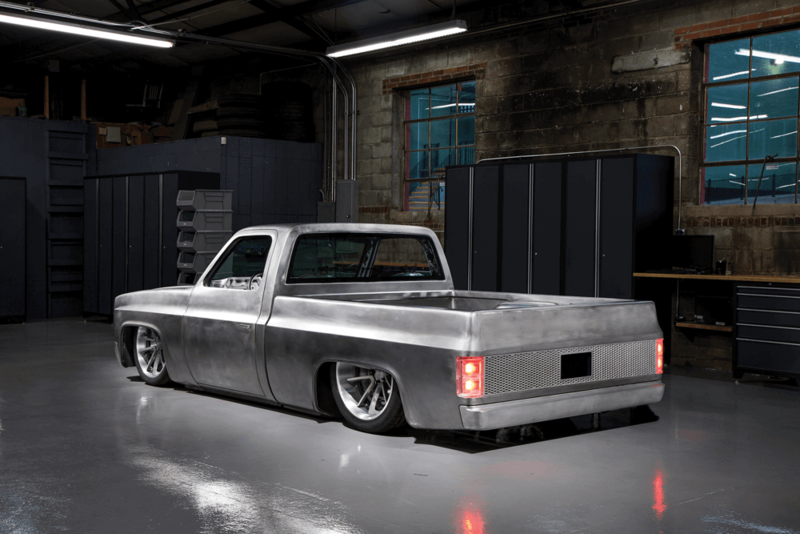 The truck’s foundation is a completely custom frame that uses Art Morrison 2×4 rails, with a modified Thorbecke front cross member up front, and a one-off Little Shop Mfg. link setup out back. It might sound tame enough, but it’s actually a pretty wild setup that has tons of work hours invested in it, as the photos will attest. Even the 22-inch Rotiform wheels were modified for a more unique look. 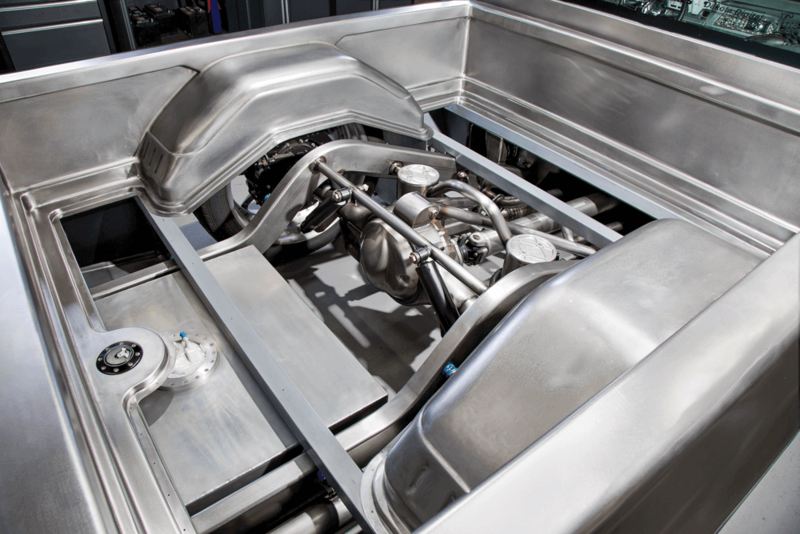 IF IT’S ONE THING DENNIS’ C-10 IS PACKED FULL OF, IT’S DETAILS. 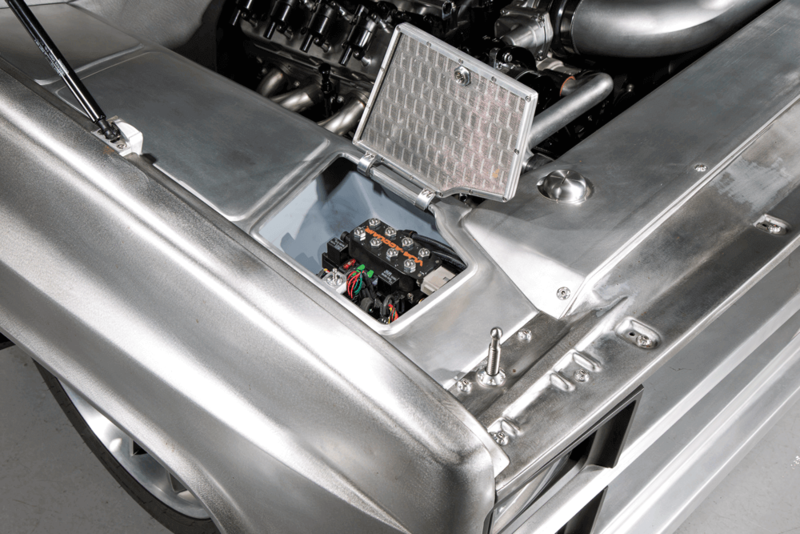 EVERYTHING WAS DESIGNED TO BE EASILY ACCESSIBLE AND SERVICEABLE, WITH THE ACCUAIR VALVE MANIFOLD AND ECU WITHIN EASY REACH UNDER AN ALUMINUM TRAP DOOR. Since you’ve no doubt already devoured the photos, we feel it’s somewhat redundant to mention how much work went into the body. We could say that the cab received a subtle chop, but that really doesn’t cover the bases. 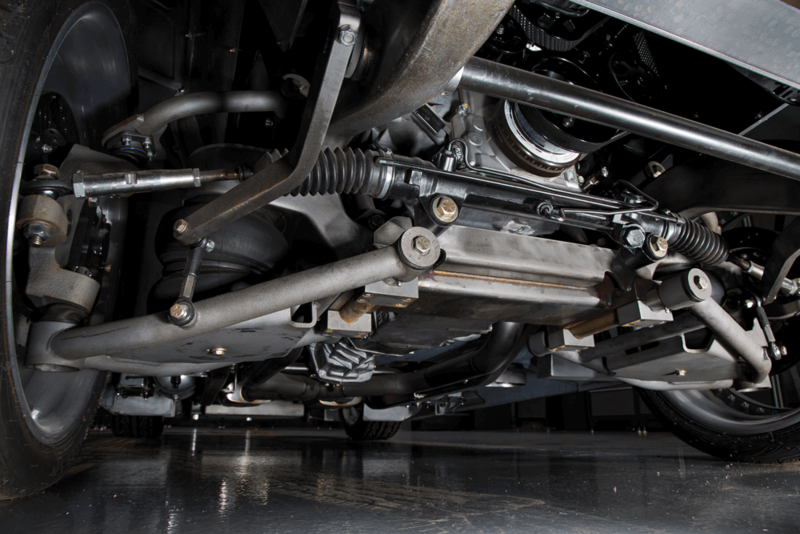 The B-pillars were built from scratch for a cleaner look and to create the perfect gap between the cab and bed. 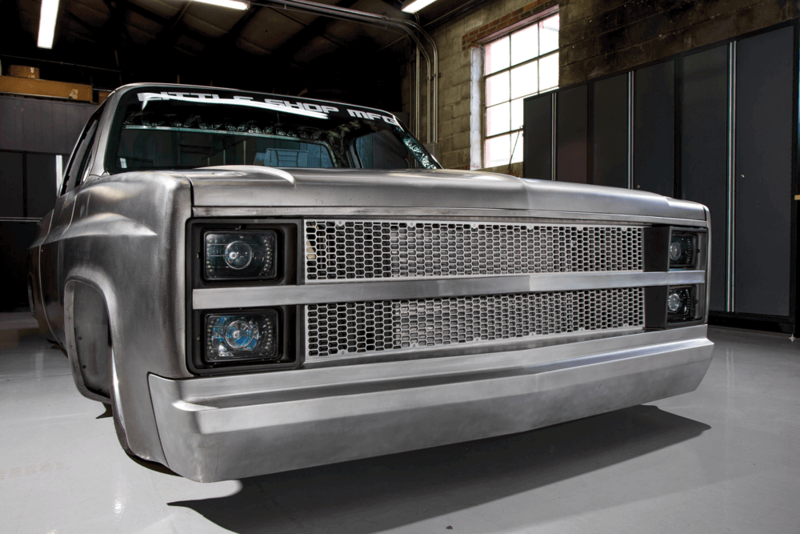 The front and rear bumpers were fabricated from .060 aluminum sheet, then flush fit to the body, and aluminum panels were installed throughout the truck for easy access, as well as to show off the incredible detail. 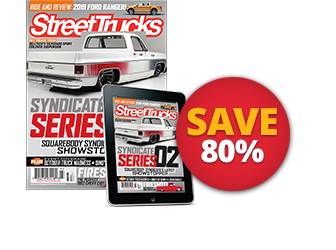 Speaking of incredible detail, the machined acrylic LED taillights are one of our favorite features, and they’re a mod we don’t think we’ve seen since the Steel Flame GMC Sonoma many years back (April 2002 issue). The crowning touch, though, has to be the laser-cut grille, which is integrated with the front bumper and perfectly complements the slabbed front end. INSIDE AND OUT, TOP TO BOTTOM, LITTLE SHOP MFG. HASN’T CUT ANY CORNERS ON THIS BUILD. IT’S ALMOST A SHAME TO COVER UP THE CHASSIS. 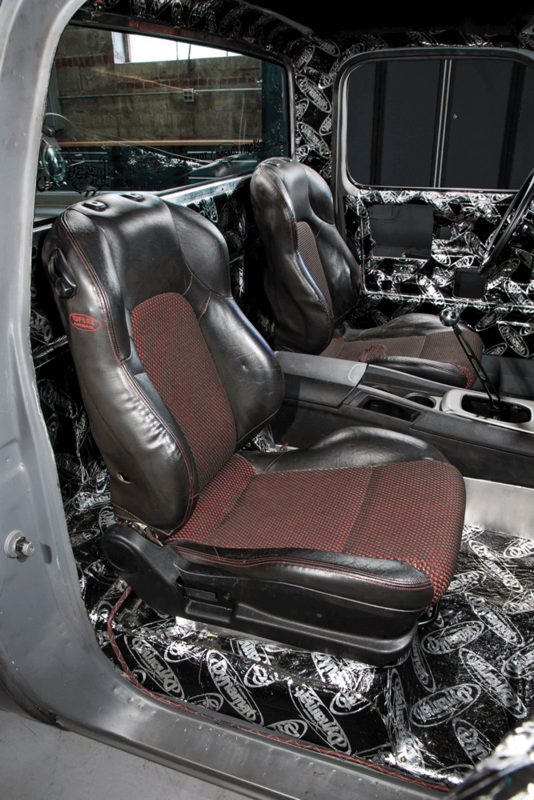 The interior of Dennis’ C-10 is a work of art, and it’s arguably even more insane than the rest of the truck. The one-off dash was based on a Brian Stupski rendering, and was formed completely out of thin-gauge aluminum. 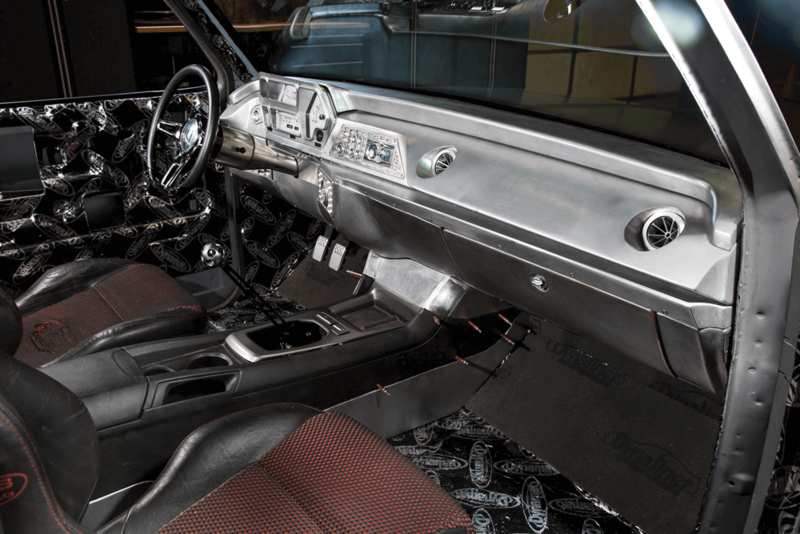 The rest of the interior still has some details that need to be ironed out, with a center console based around a late-model Camaro unit. For now, the seating arrangement consists of Hyundai Tiburon buckets, but M&M Interiors will stitch a new setup when the truck is closer to completion. 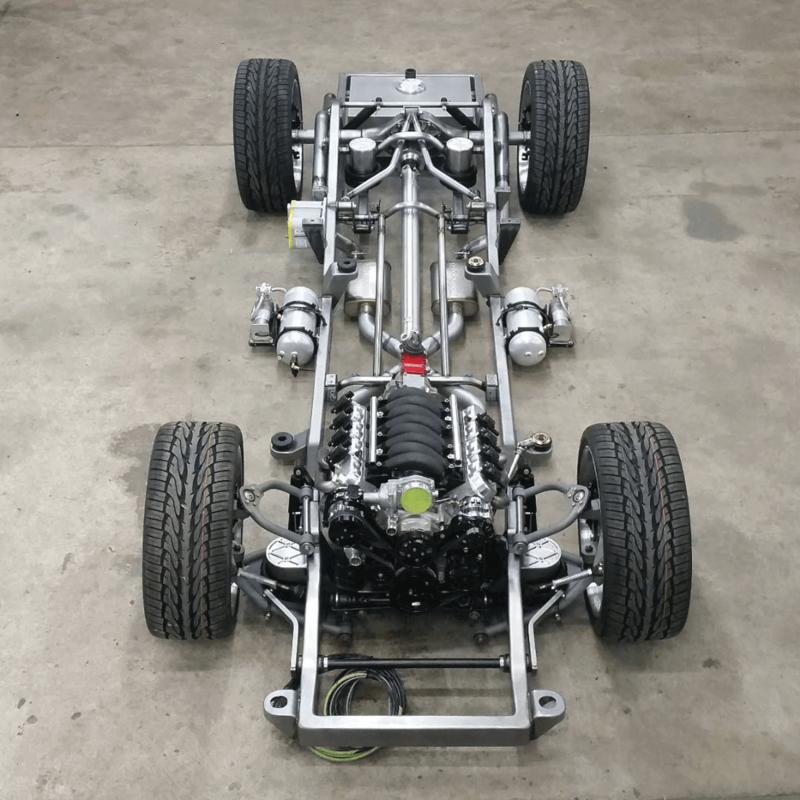 Notice that we haven’t even mentioned the drivetrain until now, which is a 7.0L LS3 backed by a six-speed T-56 transmission. 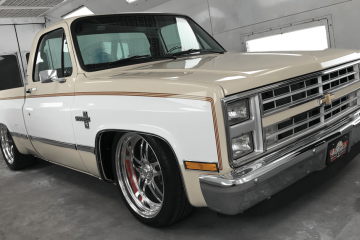 At 615 hp it’s definitely nothing to scoff at, but you’ll pardon us for being so smitten by the rest of the truck that we got a little ahead of ourselves. 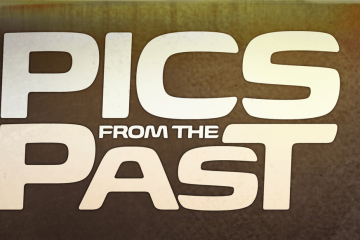 During the most crucial stages of the build, Eric went and got himself in a pickle when he crushed his spine during an aircraft-related accident. Had the build stalled for a bit at this point, it certainly would have been understandable. 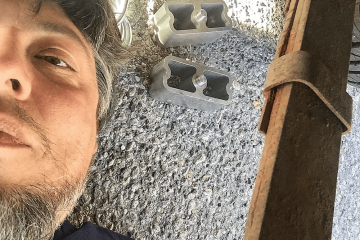 As Dennis tells us, though, the last thing he said to the guys before being wheeled into surgery, not knowing if he would ever walk again, was ‘Don’t stop working on the truck!’ Well, they didn’t, and thankfully, Eric is currently back in the swing of things. 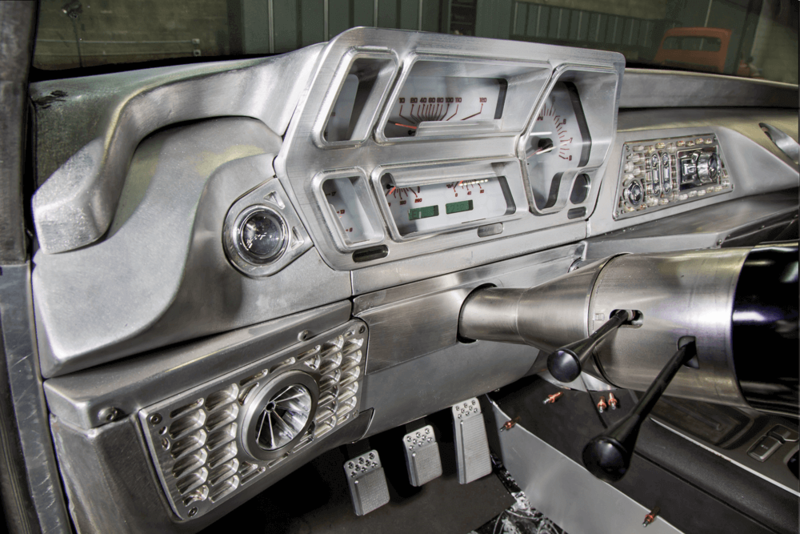 A CHALLENGE TURNED THE TRUCK’S CONTROL CENTER INTO A WORK OF ART FEATURING LOTS OF ALUMINUM. Expect to see a lot more of Dennis’ truck once it’s wearing its fresh Axalta paint, right here in Street Trucks. Work performed by Eric Saliba and Chris Pollock at Little Shop Mfg. 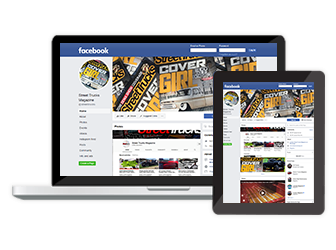 Work performed by Little Shop Mfg.